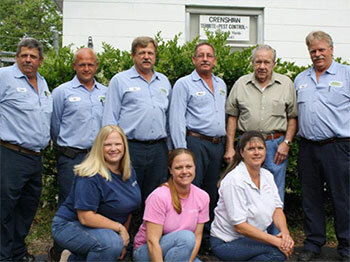 Crenshaw Termite & Pest Control, Inc. is a local family-owned-and-operated pest control company in New Port Richey, Florida. We free your home or business of indoor and outdoor pests, including ants, roaches, fleas, termites, and mice, using the most modern technology and environmentally safe application and chemicals. Additional insects we treat include chinch bugs, sod webworms, armyworms, and mole crickets. Pest control includes treating the perimeter of your home on a monthly, bimonthly, quarterly, or yearly basis. All of our products are environmentally friendly. We also specialize in complete lawn fertilization and broad leaf weed control, which are available on a monthly or bimonthly schedule. Protect your home and family from pest infestations. With over 41 years in business, Crenshaw Termite and Pest Control, Inc. knows how to eliminate your pest problems. We have many different Pest Control treatment options tailored to meet your needs and keep your home free from pests. Don't let rodents ruin your home or business. We offer effective rodent control services for mice and rats that have invaded your property. Fire ants are trouble. They can damage property, kill animals, and hurt humans with their painful stings. There's no need to worry, though, because we have the expertise to handle your ant problems. Let us provide fire ant control for your home or business today. Keeping your lawn and shrubs green and healthy isn't always easy. At Crenshaw Pest Control our Lawn and Shrub services are designed to make sure the grass and plants get what they needs when they need it.